GE14 POLLING DAY LIVE | After 11 days of intense campaigning, the 14th general election finally arrives. Malaysians take to the polls in what is expected to be the most fiercely contested general election in the country's electoral history. Follow our live blog as the Malaysiakini team brings you the news as it takes place. 5pm: Voting ends. Thank you for following our live updates on polling day. For further live reports and results, please go to live.malaysiakini.com. 4.45pm: SJK (T) Ladang Highlands, Klang - A 22-year old first-time voter named Bryan tells Malaysiakini that he had to wait more than six hours to cast his vote today. "I arrived at my voting centre at 9am and only voted at 3.15pm. My voting stream was all young voters and first-time voters. "A few of us asked the Election Commission officials there why it was taking so long, they said there were just too many people and they were doing their best. "I thought it was very poorly organised, there was no order and it was super messy. I waited six hours for a process that took me less than one minute," he says when contacted. Bryan adds that when he left his voting centre, there were more than 100 voters still in the queue for his voting stream. He hopes the EC keeps polling centres open past 5pm for those still in the queue. "I queued from 9am, I can't imagine what will happen to those who came after 12noon. They might miss out on voting," he adds. 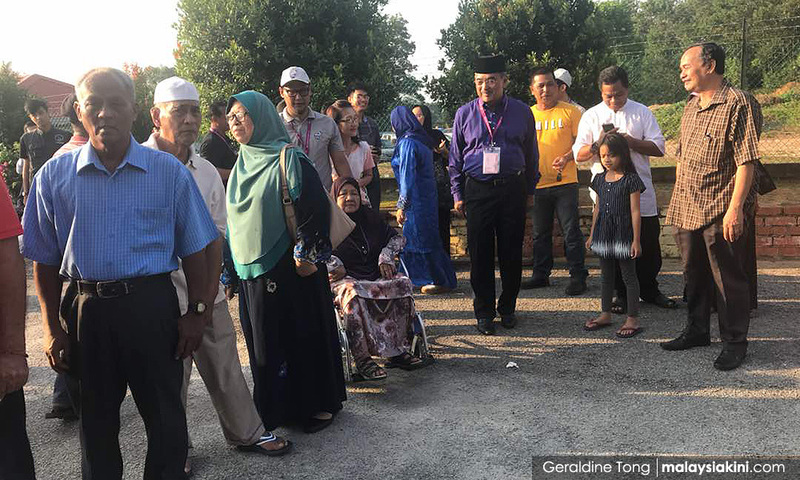 4.45pm: Kuala Terengganu, Terengganu - At this time, up to 70 percent of voters registered to vote at SMA Sultan Zainal Abidin have cast their ballots. 4.20pm: Damansara Perdana, Selangor - With less than one more hour to the end of polling day, a local restaurant here has run out of 1,500 promotional burgers given away free to voters. 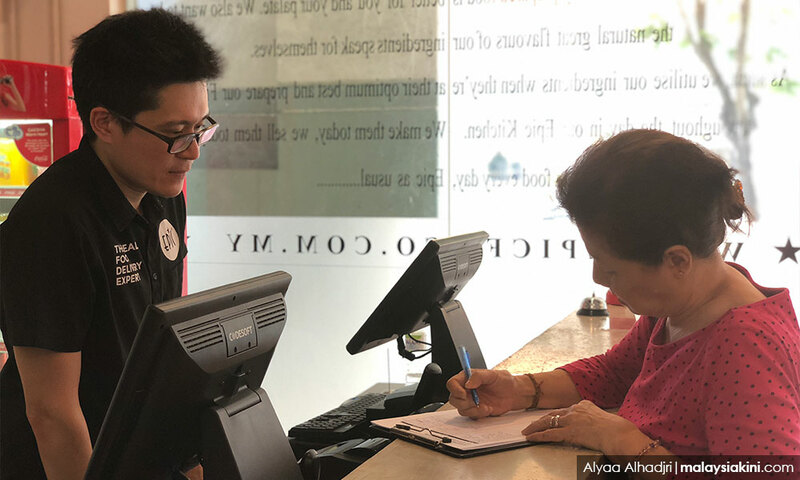 Wicky Lai (photo), the owner of Epic, says his inspiration behind the promotion was to encourage more Malaysians to register as voters. "Even some of my crew here didn't register to vote," he notes. While himself a registered voter, Lai says he recently discovered that his name was not on the EC's list and at the time it was already too late to re-register himself. As of 4pm, customers continue to come into the Damansara Perdana outlet. However, Lai says they have been offered a free voucher for the same burger that they can claim on another day. In its two other outlets, his crew has similarly run out of burgers, although the initial promotion was supposed to run until 10.30pm, he adds. 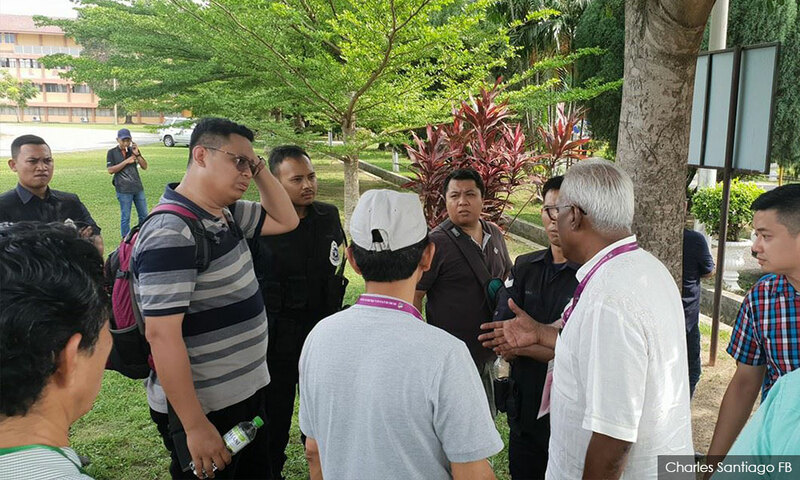 4.10pm: Bukit Tengah, Penang- PKR candidate for Bukit Tengah Gooi Hsiao Leung confronts an Election Commission officer when one of the voters was not allowed to vote as someone had already voted in his name. Gooi tells the officer that she can check the voter's finger as it is not stained with indelible ink. "You cannot prevent him from voting as this is his right. It is his constitutional right to vote," Gooi tells the EC officer, who insisted that the man could not vote. "Having someone vote using his IC and name is already cheating," Gooi says, adding that reports will be lodged at the EC. According to Gooi, the incident happened in SJK (C) Peng Bin, while another took place in SJK (C) True Light, Perkampungan Juru. 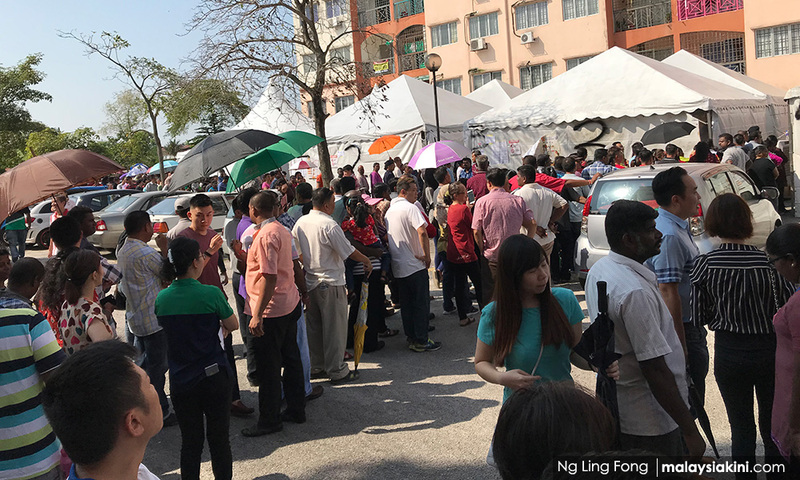 4pm: Petaling Jaya, Selangor - Malaysiakini analysis: The turnout rate of 69 percent as of 3pm is strong, similar to the last general election level, despite the mid-week polling. In the last general election, the turnout rate was at 70 percent as of 3pm. The one percent difference can be attributed to the growth of the total number of voters. In this election, a total of 14,449,200 electors are voting on polling day, excluding early voting and postal votes. This is compared to 12,992,661 ordinary electors in the last general election. In terms of hard numbers, it means 9.97 million voters have already voted as of 3pm compared to 9.09 million voters in the last general election. If the momentum can be sustained, the total turnout could be upward of 80 percent when polls close. The turnout rate was 84.8 percent in the last general election. 3.59pm: Klang - Klang incumbent Charles Santiago questions why the Federal Reserve Unit (FRU) are stationed at SMK Teknik Klang. "Speaking with FRU officers together with the Head of SPR in SMK Teknik Klang. "There is no point of FRU to be stationed here. This is a democratic process and their presence is scaring people away," he says in a Facebook post. 3.38pm: The Election Commission puts voter turnout at 69 percent as at 3pm. 3.15pm: Bukit Mertajam, Penang - A voter in Berapit trying to cast her ballot at SMK Berapit is told her name has been taken. Foo, 65, when having her name checked by the officers in charge at the polling centre is told someone by her name has already voted, and she would not be able to cast her vote. She shows the media and Harapan Bukit Mertajam parliamentary candidate Sim Chee Keong and Berapit candidate Heng Lee Lee her fingers free from indelible ink, proving she did not voted earlier. Sim expresses disappointment with the Election Commission. He says Article 119 of the Federal Constitution guarantees our right to vote, Foo’s right has been denied. And according to Section 7 of 1954 Election Offences Act, a person who impersonates someone else to vote will be fined up to RM2,000, or up to 5 years jail. He urges voters facing a similar problem to immediately report it to EC officers and to lodge a police report and inform the candidate or representative. "We also hope that the EC will guarantee, no more similar incidents that would affect the election results will happen again," he says. Heng says there are similar cases in SMK Berapit and SJKC Kim Sen, but her team is still trying to contact the victims. "I have visited almost all the polling stations in the Berapit area and have received many complaints about the parliamentary and state ballot boxes being marked wrongly. "The EC has promised that ballot papers put into the wrong boxes would be sorted and accepted during counting," she adds. Harapan candidates also have instructed all their counting agents to insist on this. 2.40pm: As at 2pm, voter turnout is 62 percent, reports the EC. 2.15pm: Kuala Terengganu, Terengganu – A celebrity speaker Azhar Idrus says he is confident of a change in state government in Terengganu from BN, but does not elaborate. 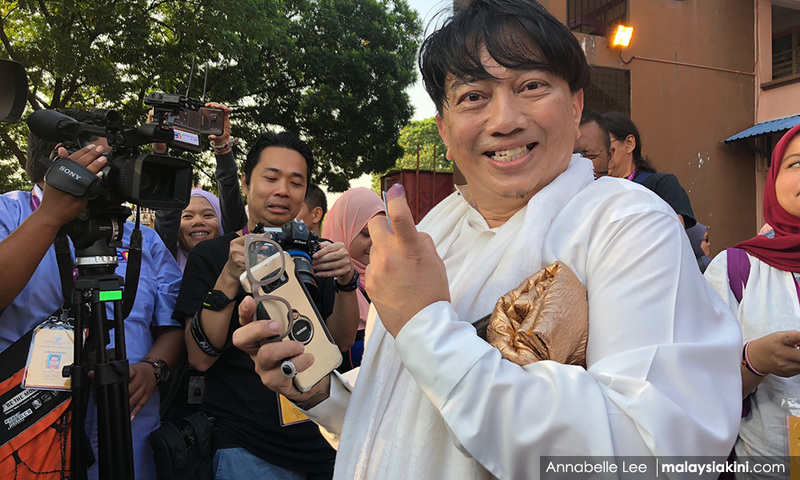 “I feel change will happen, and it's something we hope for,” he tells Malaysiakini when met as he goes to cast his vote for the Ladang state seat. He adds the atmosphere this GE is better than in the past elections, from a security perspective. Meanwhile, PAS is confident of retaining the Dungun seat, judging from support from youths before the election. “We feel in the Dungun parliamentary seat we will retain all the seats we had won in the past, judging by the number of young voters who have been filling our ceramah,” PAS Dungun's Wan Hasan M Ramli tells Malaysiakini. He also confirms a woman died in Kampung Peladang this morning, while waiting in line at the SMK Pulau Serai polling centre, Dungun. Terengganu police chief Aidi Ismail has confirmed the incident. 2pm: Putrajaya - The Election Commission holds a press conference to address issues which arose during polling day. In it, EC chairperson Mohd Hisham Abdullah apologises to postal voters for the late arrival of their ballot papers. He says the matter will be investigated. Ballot papers issued to voters without the EC stamp will be counted as valid votes. Ballot papers for the federal or state seats put in the wrong boxes will be sorted out during the counting process and will still be counted. There will be no extension of voting hours beyond 5pm despite the long queues. EC is expecting a voter turnout of 85 percent. 2pm: Kota Bharu, Kelantan - Pakatan Harapan's pondok panas appear to be less active than their opponents, from a survey around the town. Some polling centres like SMK Raja Sakti dan SMK Sering even saw an absence of Harapan's pondok. 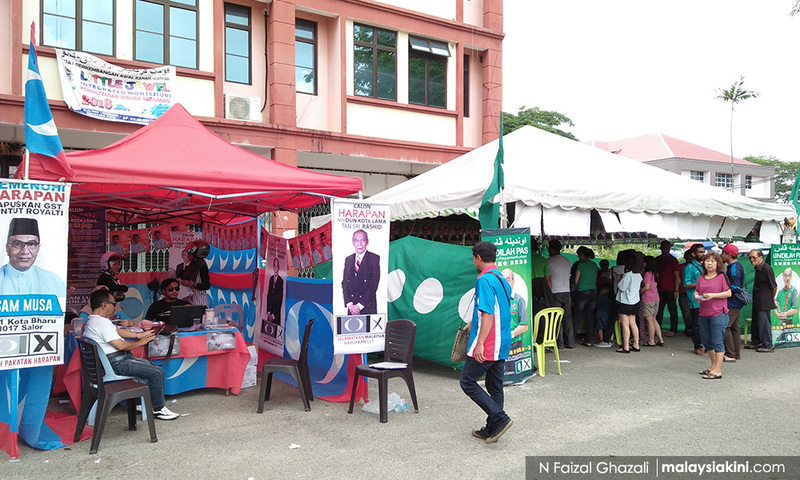 A tent at SMK Sering, which is the polling centre for the hotly contested Pengkalan Chepa parliamentary and Panchor state seats sees the absence of Harapan's representatives there, while another in Kota Bahru and Kota Lama are muted compared to neighbouring tents by BN and PAS. A Harapan official at one tent says their opponent's tents could be popular because they could be making payments to outstation voters, while Harapan is not. “We have no such claims (for outstation voters), perhaps they do. That's why there are more people there,” the rep tells Malaysiakini. 2pm: Petaling Jaya, Selangor - Some restaurants are offering freebies or discounts for customers with 'inked' fingers today. 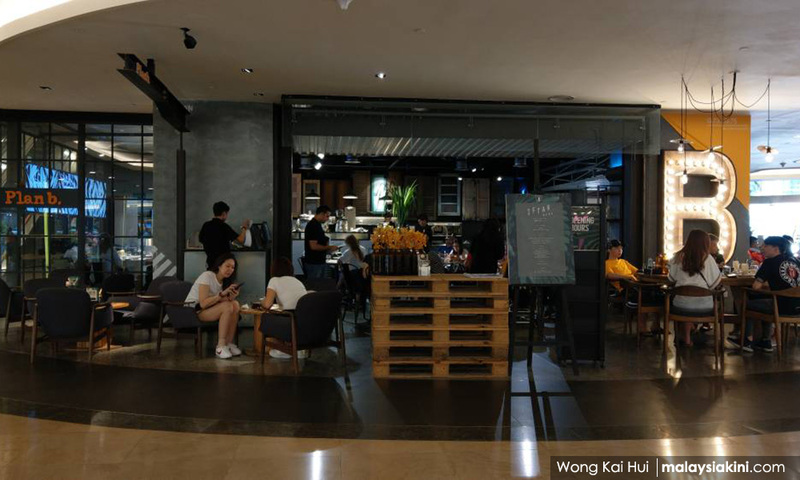 Rooban Arumugam, the manager of Plan B Mid Valley branch, tells Malaysiakini the promotion has received great response from the customers, and all their free nasi lemak have been snapped up by voters. "We are giving free nasi lemak to the voters. We started at 9am and over 200 nasi lemak and teh tarik were all finished at about 11am." 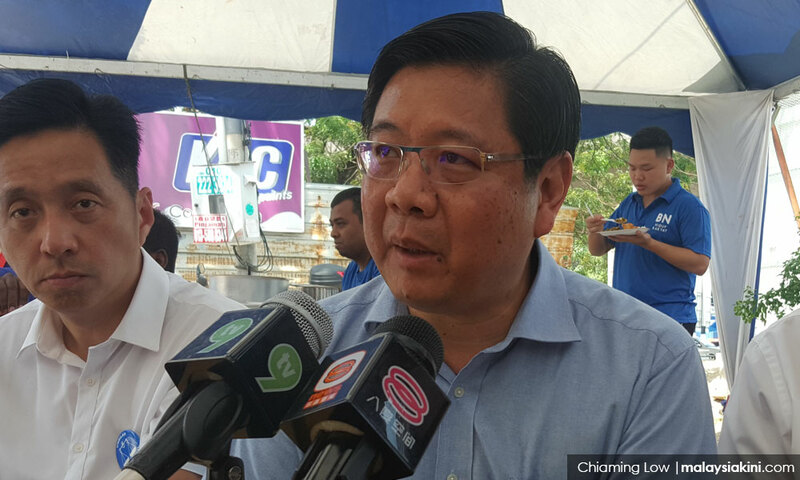 1.30pm: Pulau Tikus, Penang - Penang BN chief Teng Chang Yeow urges the authorities to probe the scam phone calls that have reportedly inundated political leaders and candidates from both sides. "The government should investigate what happened. Why (is this occurring) at this particular of time?" he says after casting his vote in the polling station at St Xavier's. He claims he also received such calls last evening, but did not pick up the call since the unknown number is clearly from the US or Europe. "I have been receiving such phone calls all the while, but we don't expect it to happen during the election." However, Teng advised DAP not to blame BN as usual. "Please use other tactics," he says, after Harapan leaders complained of being spammed by phone calls since early morning. Teng also criticised the EC voting process managed by the Northeast district land office for being too slow. "The process in Bukit Bendera is poorly managed. Long queues are detected in many places. In certain rooms or streams, only one voter is casting their vote at one time, despite two booths being prepared." "This is the reason why there are still many people in the polling station at this point of time compared to previous elections." Meanwhile, the Communications and Multimedia Commission (MCMC) says it is investigating the complaints said to have affected a large number of Pakatan Harapan and BN politicians. In a statement, it warns that stern action would be taken against the perpetrators after initial investigations pointed to bot attacks by various anonymous sources. 1.40pm: Petaling Jaya - The Election Commission announces voter turnout of 55 percent as at 1pm. 12.20pm: Petaling Jaya - The Election Commission announces voter turnout of 36 percent as at 11am. 12pm: Petaling Jaya, Selangor - Caretaker prime minister Najib Abdul Razak slams the scam overseas phone calls received by BN leaders and says he has instructed that action to be taken. "I sternly criticise the overseas phone call scams received by BN leaders. The handphones that under attack cannot function as usual. "Besides that, many BN portals cannot be accessed," he says in a tweet. BN leaders that are affected by scam calls include: Hishammuddin Hussein, Rahman Dahlan, Khairy Jamaluddin, Azalina Othman Said, Salleh Said Keruak, Razali Ibrahim and Liang Teck Ming. 11.31am: Petaling Jaya, Selangor - After Harapan's complaints of hacking, now several BN leaders also claim their phone calls and emails have been hacked. This includes caretaker minister in the Prime Minister's Department Abdul Rahman Dahlan, caretaker youth and sports minister Khairy Jamaluddin and Gerakan secretary-general Liang Teck Ming. "(This is) to prevent us from communicating with our machinery, this is a dirty trick," slams Abdul Rahman after receiving overseas calls. Khairy says: "My phone seems to be under some sort of spam attack this morning, strange." 10.56am: Alor Setar, Kedah - Langkawi candidate Dr Mahathir Mohamad arrives in his personal black BMW. Accompanying him is his wife, Dr Siti Hasmah Md Ali. About 100 supporters rush to greet him but are blocked by his bodyguards. Some of them chant, "Long live Tun," while one says, "We are not paid to come here." After voting, Mahathir turns around and shows the indelible ink stain on his finger. Asked to say a few words to inspire his supporters, Mahathir says, "You are voting for the future. These are good people, who will ensure a good government." "A good government is not like what Najib's government is like," he says, while in the car. "It is the Pakatan Harapan government. I feel very good. I am very confident, unless Najib cheats." "I don't know how he would cheat, but as far as I can see, the people do not support him. Although he offered 10 goodies, nobody cares," Mahathir claims. When met outside the polling station, Mahathir says the situation so far is "very good". There is a good turnout this morning in Langkawi, although it was a bit slow in the morning. Commenting on his nationwide pre-GE message last night, Mahathir says people were interested to hear what he had to say. "I hope they can be influenced. Even though Najib offered 10 goodies, my speech had 200,000 viewers but Najib only 13,000. Altogether, my speech had five million viewers," he claims. Wan Azizah: Are BN leaders' phones being attacked too? 11am: Permatang Pauh, Penang - PKR president Dr Wan Azizah Wan Ismail claims two of her close aides who are in charge of her schedule have become the victims of phone spam since 6am this morning. "When they pick up the calls, the person only says thank you for taking the call," she says at a press conference in Yayasan Aman. She says her own phone has not been hacked or spammed. She questioned whether BN leaders are under the same attack, else it would be seen as a dirty tactic to confuse people. Amanah's Permatang Pasir candidate Faiz Fadzil also claims that the index number assigned to certain voters is inconsistent with the information given before, hence some voters who walk in directly without first being referred to the counter may eventually enter the wrong room. "Some of them have to go down to check the room number and go up again, this will create problems and some may give up to vote." 11am: Pasir Gudang, Johor - BN provides 18 vans to ferry voters from 48 blocks of five-storey flats in Pasir Gudang. A BN campaign worker keeps shouting the flat number to the driver when voters request ferrying service. "Blok 52, please move now. Blok 44, please go now," a BN party worker shouts outside SK Taman Cendana. 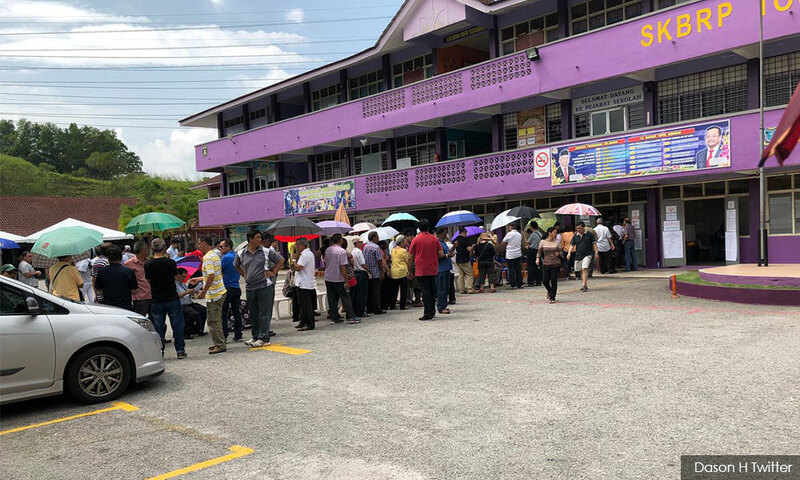 11am: Petaling Jaya, Selangor - A man in his 60s passes away while queueing up at SMK(P) Taman Petaling at 9.30am, says Harapan candidate for Bukit Gasing R Rajiv. "A policeman, after detecting there is no pulse and no breathing, conducted CPR (cardiopulmonary resuscitation) for him. This was later taken over by a doctor," he says. The man was accompanied by his wife, he adds. Rajiv says he is unclear why the man suddenly collapsed. 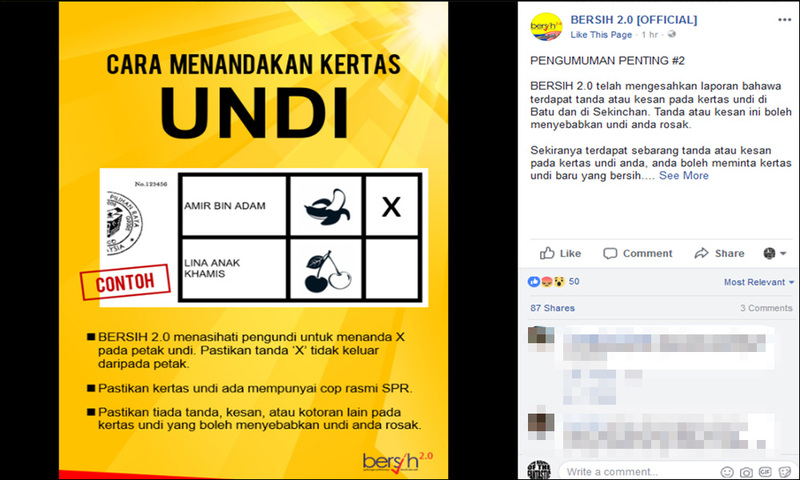 11am: Petaling Jaya, Selangor - Bersih says it has received complaints that there were marks and stains on the ballot papers issued in both Batu federal constituency and Sekinchan state seat. "The marks and stains can make (your ballot papers) become spoilt votes," says the electoral watchdog in a Facebook post. Bersih urges voters who encountered such problems to ask for another clean ballot paper. 11am: Petaling Jaya, Selangor - The Election Commission has stated there is a 24 percent voter turnout as of 10am. 10am: Subang Jaya, Selangor - Voters queuing to cast their ballots at SRKSS 19 Subang Jaya help each other to check their registration number for the last time using the Election Commission MySPR's app. "Give me your MyKad and I will help you check. Otherwise, it will take you a long time later," one voter is overheard saying to those standing in line in the second out of four voting streams. "This is to check your other name, or later they will have to do it manually," says Orked Ahmad (left in photo) as she goes down the line offering help to the voters. She tells Malaysiakini that she was a former volunteer polling and counting agent in the 13th general elections. "Sana line orang muda, kita dah senior," says another voter pointing to another longer line across the block. Some of them bring and long a printed copy of their voting details while others say they have downloaded the EC's mobile application. They are queuing to cast their ballots for the Subang parliamentary seat candidates and Subang Jaya state seat candidates. 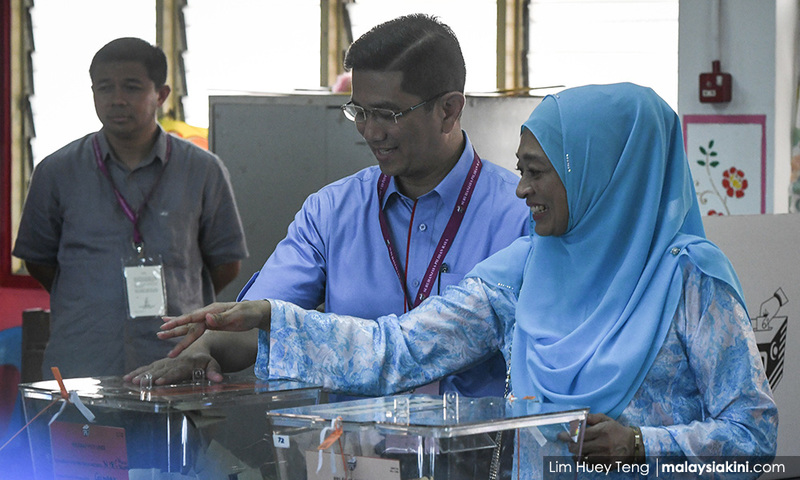 9:45am: Gombak, Selangor - Harapan-PKR’s Bukit Antarabangsa candidate Mohamed Azmin Ali and his wife Shamshida Taharin are swarmed by voters and the media as they arrive to cast their votes. Speaking afterwards, Azmin predicts the opposition will be able to win “at least” 40 seats in Selangor and 112 seats nationwide. “It’s not so much about multi-cornered fights, its about clear leadership,” the caretaker Selangor menteri besar says. He also lambasts caretaker prime minister Najib Abdul Razak’s offerings to voters mentioned in the latter’s speech last night as “empty promises”, and says Najib has failed to recognise the true needs of the people. “He (Najib) knows he will lose; I am sure he has heard reports from the ground from his intelligence personnel. “He has no choice but to make these promises to bribe voters at the 11th hour,” he says. 9.30am: Lembah Pantai, Kuala Lumpur - Both BN Lembah Pantai candidate Raja Nong Chik Zainal Abidin and his PKR rival Fahmi Fadzil have some complaints about the EC. Fahmi tells reporters about the late arrival of postal voting slips for some EC workers. “I have been told there are EC staff on duty who had registered for postal voting, but have still not received their ballot papers till today. “Seven or eight have told me this. By right theirs should arrive much earlier. This is a huge failure by the EC. I am very angry about this,” he says. Meanwhile, Nong Chik slams the EC for not having proper facilities for voters in a wheelchair. He noted how the disabled had to go up flights of stairs to the first floor of the school to vote. He points out Saluran 2 is upstairs, while Saluran 1 is on the ground floor, but disabled voters need to fill out forms to change locations, and there are insufficient forms. 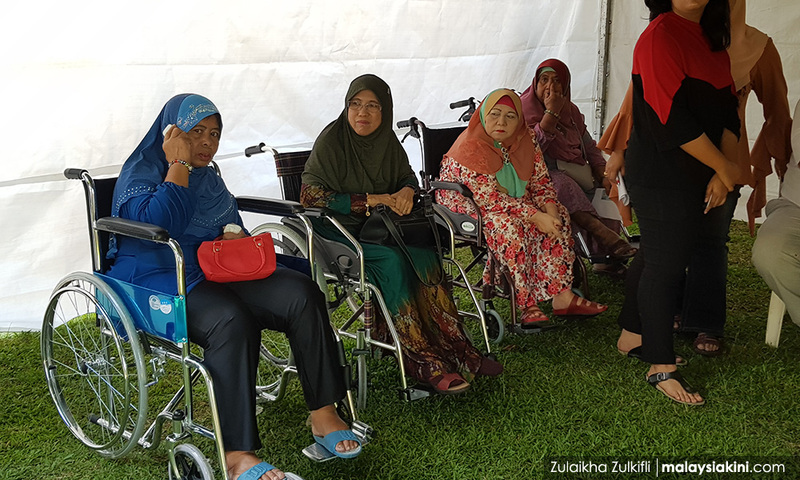 “There were elderly who had waited since 7.30am, who had left without voting as they had to wait under the hot sun,” he tells the media, chiding the EC for not aiding the disabled to perform their duty. 9.30am: Kampar, Perak - DAP Keranji candidate Chong Zhemin complains that some cars with BN logo stickers have been parked outside the SMK Kampar polling station. His polling agents have lodged an official report to the EC. "We have made a formal complaint to EC regarding BN people wearing BN shirts and campaigning outside the polling station," he tells the media. 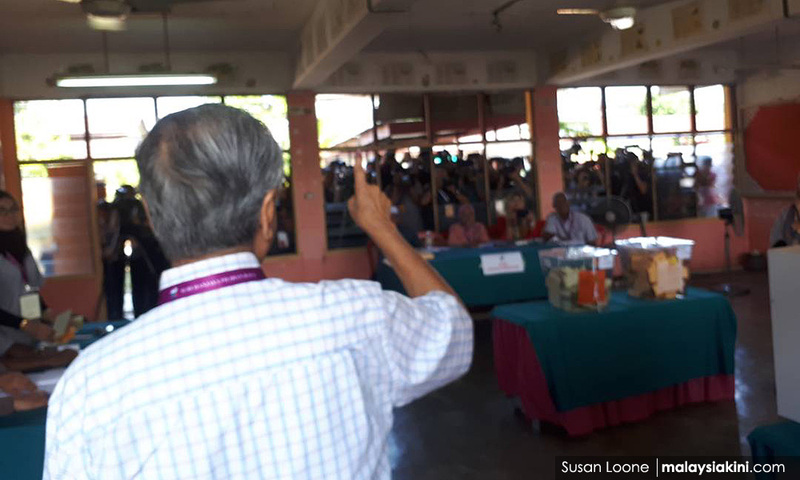 9.27am: Langkawi, Kedah - Harapan’s Langkawi candidate and coalition chair Dr Mahathir Mohamad visits the polling centre at SMK Tebing Tinggi to observe the turnout. He is warmly greeted by voters, who crowd around him to shake his hand. The veteran is due to cast his ballot elsewhere, in Titi Gajah, Alor Setar. 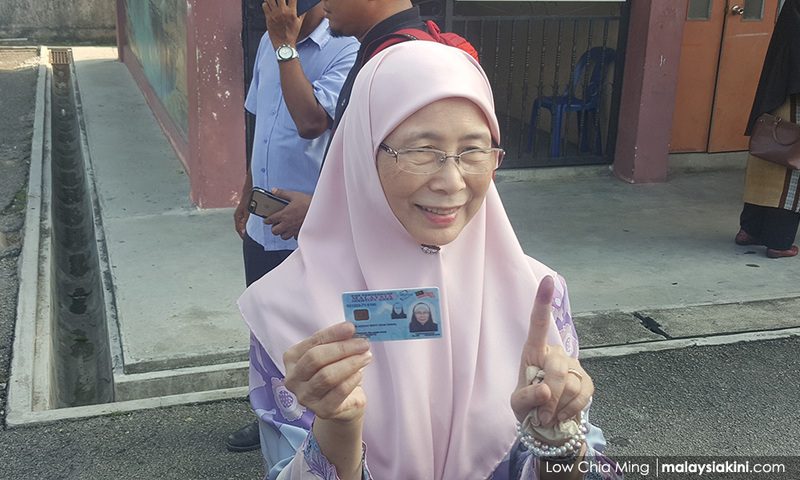 9.25am: Permatang Pauh, Penang - PKR president Wan Azizah Wan Ismail, who is contesting at the Pandan parliamentary seat, casts her vote in SK Seri Penanti, Kubang Semang. She is greeted warmly by voters and some even request to take selfies with her. 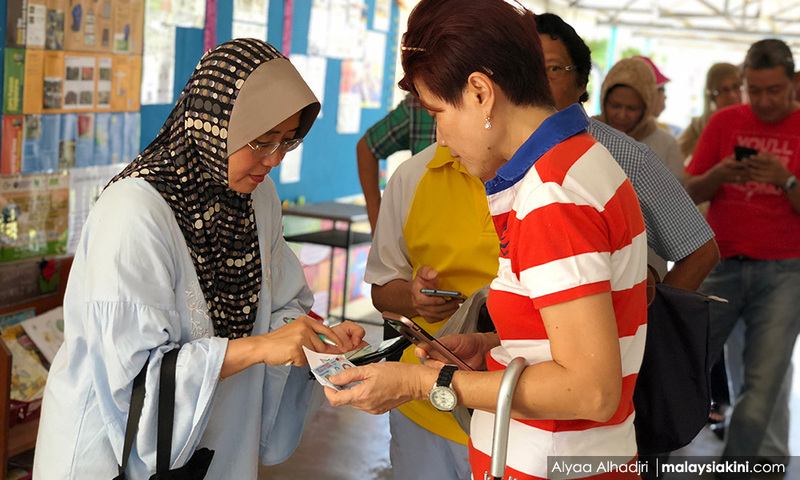 Her daughter Nurul Izzah Anwar, who is contesting for the Permatang Pauh parliamentary seat, will, however, be casting her vote in SMK Bukit Bandaraya in Kuala Lumpur. 9.15am: Semporna, Sabah - Incumbent Semporna MP and Parti Warisan Sabah president Mohd Shafie Apdal arrive to cast his vote at SK Bubul Semporna. 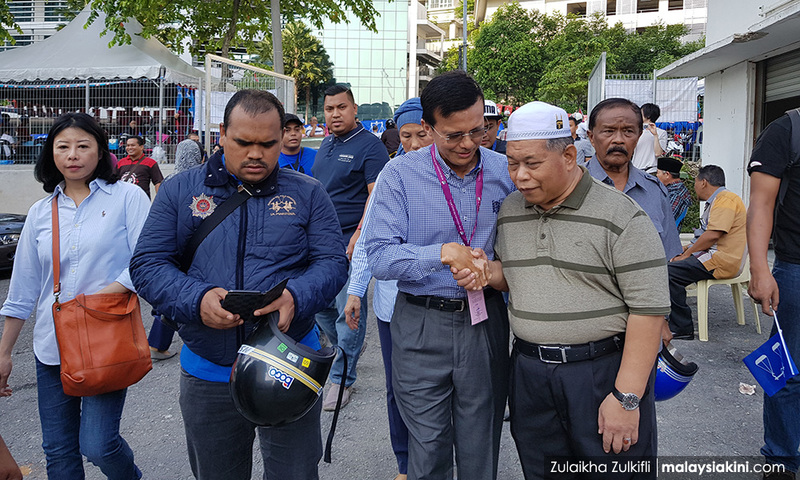 Shafie manages to shake the hands of voters around him and apologises for jumping the queue, saying that he has urgent matters to attend to. 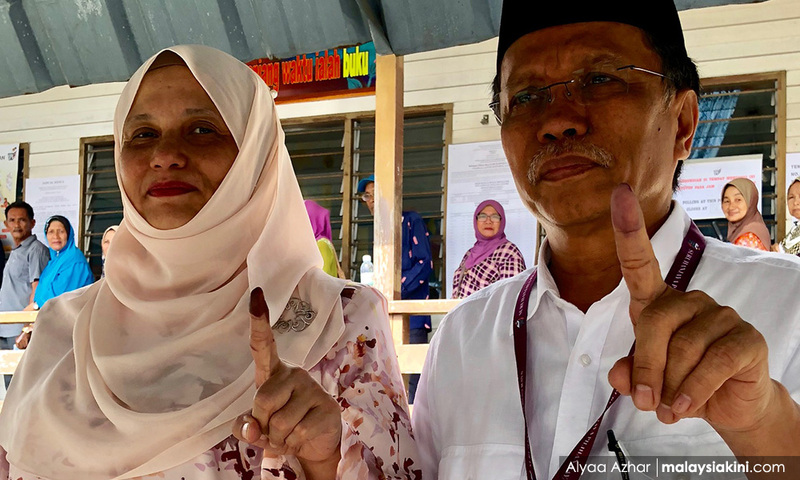 Shafie is also accompanied by his wife, Shuryani Shuaib, who had already cast her vote at a different polling centre. Shafie is heading to Kota Kinabalu to wait for the results. The Warisan president faces BN’s Ramlee Marahaban, Harapan Rakyat’s Asmara Asmad and PAS’ Abdul Nasir Ab Raup in defending the Semporna parliamentary seat. For the Senallang state seat, Shafie is facing his cousin Nasir Sakaran, who is representing BN. 9.15am: Air Putih, Penang - Caretaker Penang chief minister Lim Guan Eng has condemned the hacking attacks on phone numbers of Pakatan Harapan candidates and leaders. "There are a lot of fake news spreading out there, but I couldn't rebuke that as my phone line is hacked." "We never expect that (the attacks), we thought only some are affected but apparently it involved almost all leaders, from the top to grassroots," Lim said. He said they had no choice but to set up a parallel system to recover their communications within the party and with their agents in every polling station. "Other than receive incoming calls, our numbers are also used to make calls," he noted. Lim said a police report would be lodged with the Communications and Multimedia Commission. 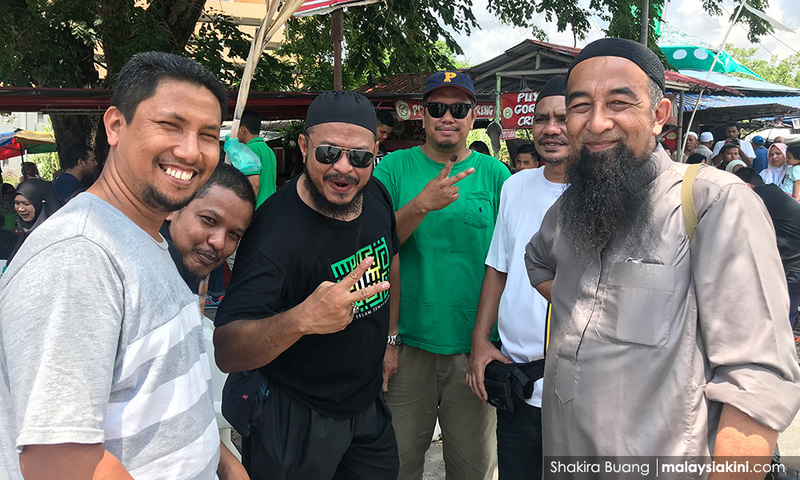 9.15am: Marang, Terengganu - PAS’ Batu Buruk candidate Mohamad Khalil Abdul Hadi arrives at SK Rusila to cast his ballot for Rhu Rendang. The son of PAS chief Hadi Awang tells young voters to come out in numbers, and not to believe in malicious calls from irresponsible parties calling for a boycott of today’s polls. “I hope you aren’t sold on the call to boycott or spoil your vote, because it is wrong, and does not benefit the country or our religion,” he says. 9.08am: Muar, Johor - Umno president Najib Abdul Razak can offer "the sun and the moon" and people still would not accept his offer, his former deputy Muhyiddin Yassin says. Muhyiddin says Najib, as the caretaker prime minister, also does not have authority to dish out the goodies he announced last night. "I don't know why the caretaker prime minister is so desperate, he has no authority to make big announcements. "This is like he doesn't know what else to do, and simply makes an offer. "But even if he offers the sun and the moon, people would not accept, because the key principle is trust. 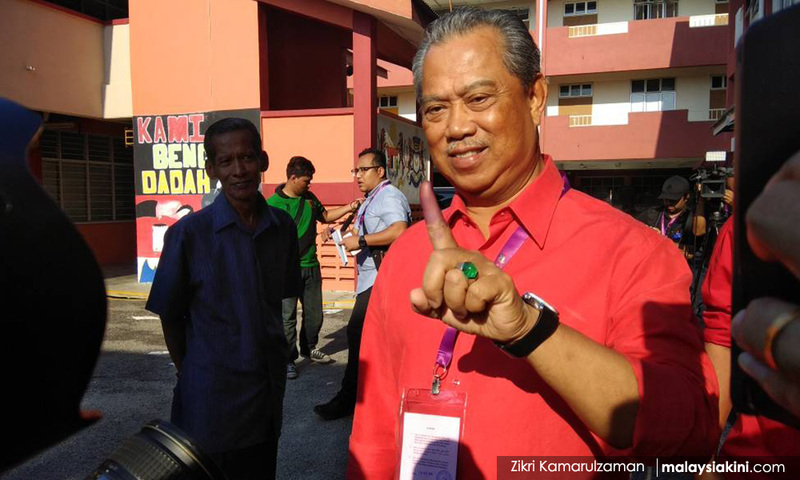 “There is no more trust and he has lost all credibility," Muhyiddin says after casting his ballot at SMK Sri Muar. 9.05am: Lembah Pantai, Kuala Lumpur - BN Lembah Pantai candidate Raja Nong Chik Zainal Abidin at SMK Sri Pantai with his wife and supporters. He is greeted by supporters at the gate who chant, “Believe in RNC”. Mingling with the crowd, he is greeted by a teary-eyed lady in a wheelchair, who shakes his hands and hugs him. Another elderly man with a walking stick also greets him and professes his loyalty to the former Federal Territories minister, and thanks him. 9am: Selangor - Several voters in Selangor are barred from entering their respective polling station due what Election Commission officers deem as 'improper attire'. Cheong, a voter, is being denied entry at SMK Sri Permata in SS3, Petaling Jaya this morning because he was in shorts and slippers, says Medaline Chang, DAP’s media and communications officer. "He is very angry and went home to change," she says in a text message. Several voters have also turned away for wearing slippers, she adds. "I was informed by our polling and counting agents on the ground." 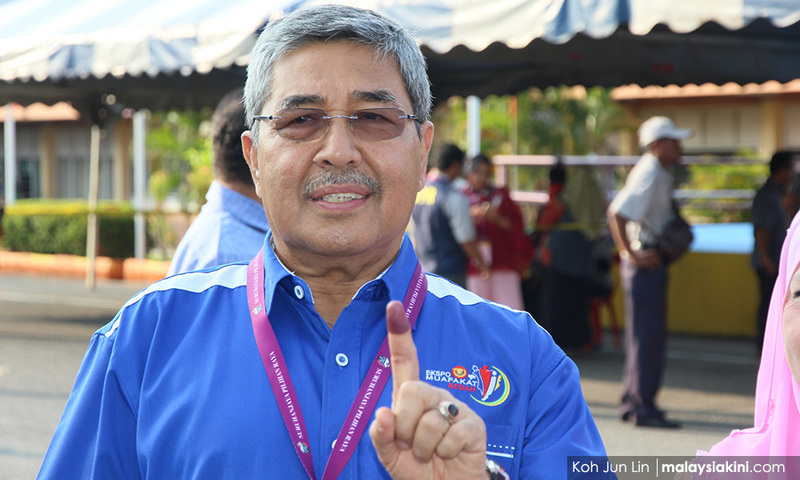 On April 30, EC chief Mohd Hashim Abdullah brushed off messages that had gone viral on social media claiming that voters would be required to dress in a certain manner. According to a viral Chinese message spread on Facebook, voters are advised not to wear torn jeans, slippers, shorts or miniskirts into the polling centres or risk being barred. 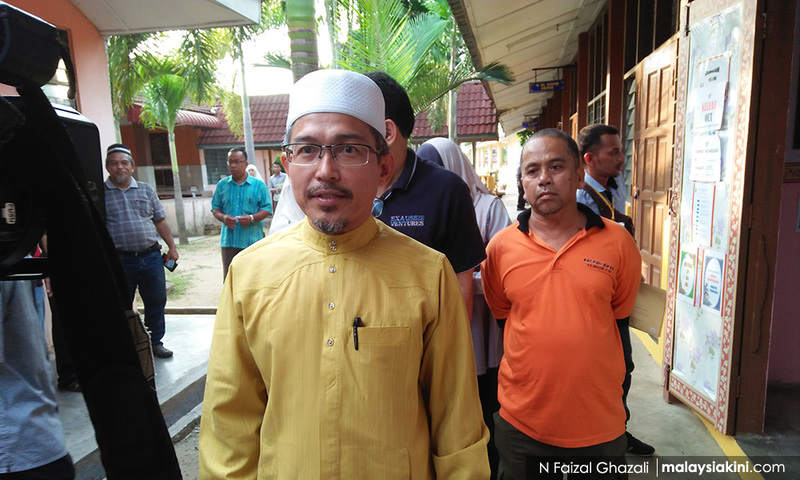 9.00am: Alor Setar, Kedah - BN's Suka Menanti candidate Ahmad Bashah Md Hanipah has turned up to vote at Stream 4 of SMK Tunku Abdul Rahman, Mergong, which is part of the Taman Rakyat Mergong polling district in Suka Menanti, Alor Setar. He is greeting voters, and talking and laughing with them. He also poses for photos by the voters and press photographers. Also present is wife Hizam Awang Ahmad. 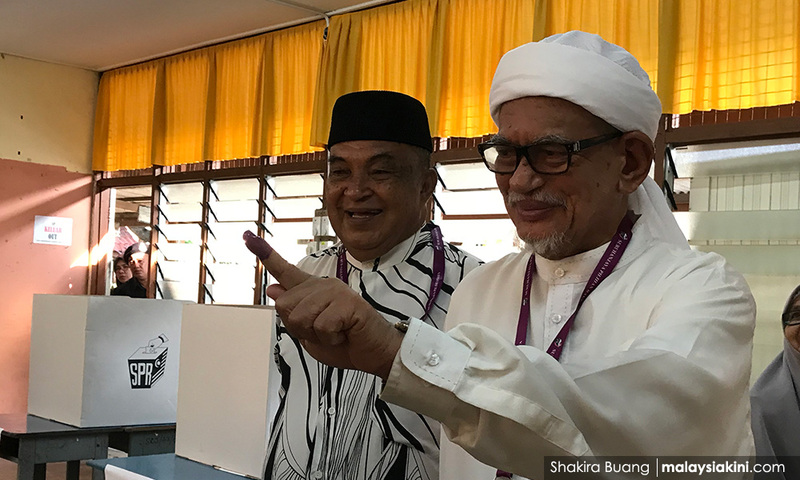 8.50am: Marang, Terengganu - PAS Marang candidate and party chief Abdul Hadi Awang arrive at SK Rusila at 8.05am with his wife to cast his ballot for the Rhu Rendang state seat. After voting, he greets voters outside and meets up with his old school friends. He then tells the media that he is satisfied with how the campaigning has gone, and is prepared to accept any result. “The campaign has gone smoothly and peacefully. We have also told our followers to be calm, respectful and to emulate mature politics. “We may have differing views but let’s not fight. “Whether we win or lose let’s all accept it. Let’s accept the people’s choice, and not cause problems for the rakyat,” he says. 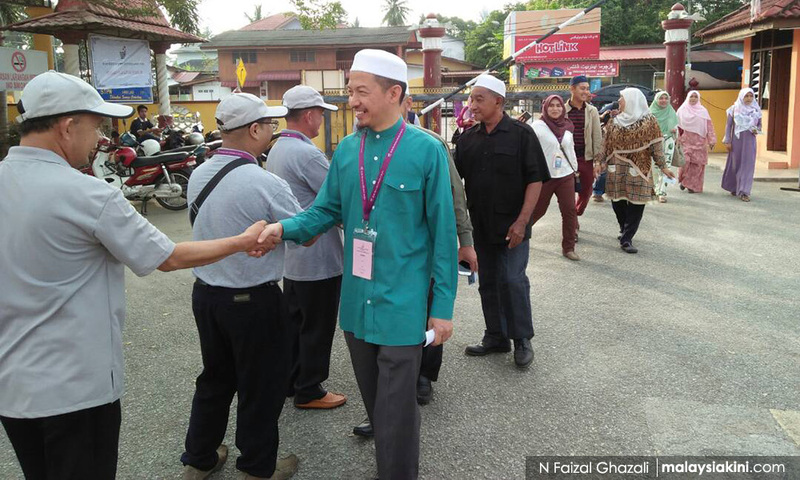 8.20 am: Pengkalan Chepa, Kelantan - Another son of the late PAS spiritual leader Nik Aziz Nik Mat arrives at SMK Raja Sakti, Kota Bharu, to cast his vote in Pengkalan Chepa. The PAS Bachok candidate, who is running against his own brother, arrives with several supporters at the same centre as Nik Omar earlier. He is accompanied by the late Kelantan menteri besar’s third son Nik Adli. 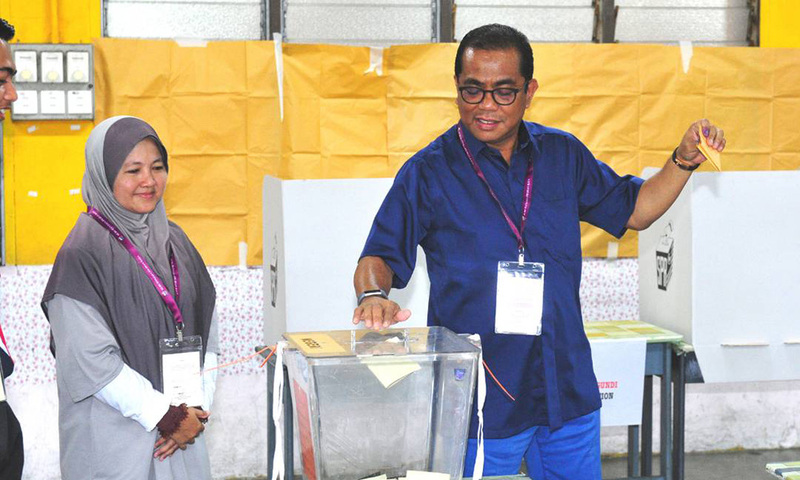 8.20am: Pasir Gudang, Johor - Caretaker menteri besar Khaled Nordin casts his ballot in SK Taman Rinting 1 in Pasir Gudang. He is accompanied by his entourage. "I believe people will vote wisely, and I believe BN will win especially in Johor." He hopes more Malays will come out to vote, but has doubts on the Chinese voters. "I hope more people will come out to vote, especially the Malays. But I don't think the Chinese will be (coming out in numbers) like the last time, because of the many issues," he tells reporters after casting his ballot. 8.15am: Semporna, Sabah - Voters from the Semporna parliamentary constituency queue under the scorching sun even before the gate is opened for them to enter the school compound to cast their votes. However, the police and the EC are only letting in four at a time every few minutes. Due to the scorching heat, one man can be heard asking the EC official at the gate to do something about this, pointing to the long queue. The EC official, however, asks the man to keep quiet after the continued demands. A police officer tells Malaysiakini that letting voters in little by little is necessary to control the situation. “We don’t want things to get out of control and the queues inside are also long, anyway,” he says. Pregnant women, those with children, the disabled and the elderly, however, are given priority to enter first. 8.15am: Bukit Katil, Malacca - BN candidate for Hang Tuah Jaya, Mohd Ali Rustam, is lining up at SK Dato Demang Hussein to cast his vote. Arriving about 8.15am, he immediately greets an elderly woman in a wheelchair who is waiting to vote. Once the voters lining up realised he was here, several of them went up to him to greet him. After that, Mohd Ali would occasionally leave his spot in the line to go greet other people. At one point, he even helped push a voter in a wheelchair up the slight kerb into the classroom before going back to his spot in the line. 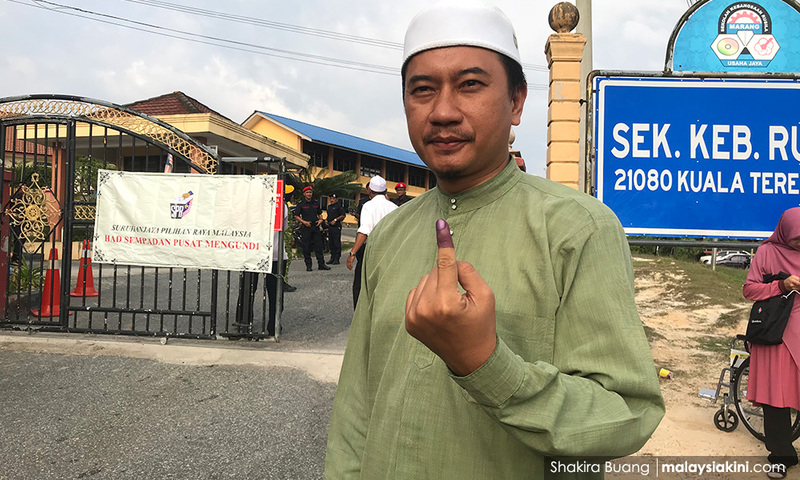 8.05am: Gombak, Selangor - Independent candidate for Gombak and flamboyant TV personality Azwan Ali arrives to cast his vote but almost immediately faces a roadbump. Azwan, more known by his moniker 'Diva AA', appears to have walked into the wrong “saluran”. Talking to the press after successfully casting his vote, he lambasts the EC for failing to perform their duties. “To my surprise, the (ballot) box was wrongly tagged, EC be careful lah! “They can’t even check which box is for parliament (seat) and which box is for state (seat),” he claimed. Malaysiakini observed EC officials switching labels of the ballot boxes when Azwan was in the voting room. Just as he finishes his press conference, his brother and fellow Bukit Antarabangsa candidate, Azmin Ali, arrives on the scene to cast his vote. 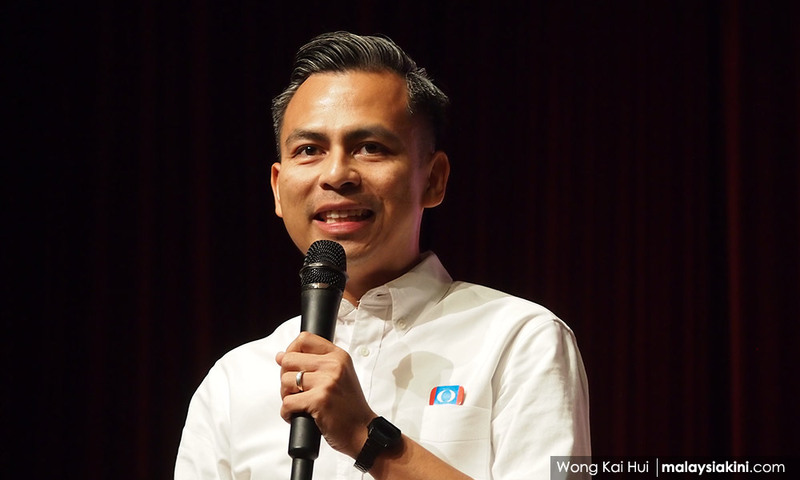 8am: Lembah Pantai, Federal Territories – PKR communications director Fahmi Fadzil also warns of major hack attacks underway, aimed at Pakatan Harapan leaders and candidates. Taking to Twitter, he says he is receiving too many phishing emails and phone calls, as reported by Penang DAP earlier. When contacted, he tells Malaysiakini the attacks started since 7.50am. "There is a major hacking operation and black ops underway. This will affect our line of communication, especially among the leaders. "I am getting phone calls from the US every minute," says the Lembah Pantai candidate. Other Harapan leaders and candidates whose social media and contact details have reportedly been hacked include Mohamed Azmin Ali, Zairil Khir Johari, Elizabeth Wong, Chang Lih Kang and Lee Boon Chye. PSM's Sungai Siput candidate Dr Michael Devaraj Jeyakumar is also reportedly facing the same problem. Fahmi says he will lodge a report with the Communications and Multimedia Commission (MCMC) later. "Come on, MCMC, do something," he says. 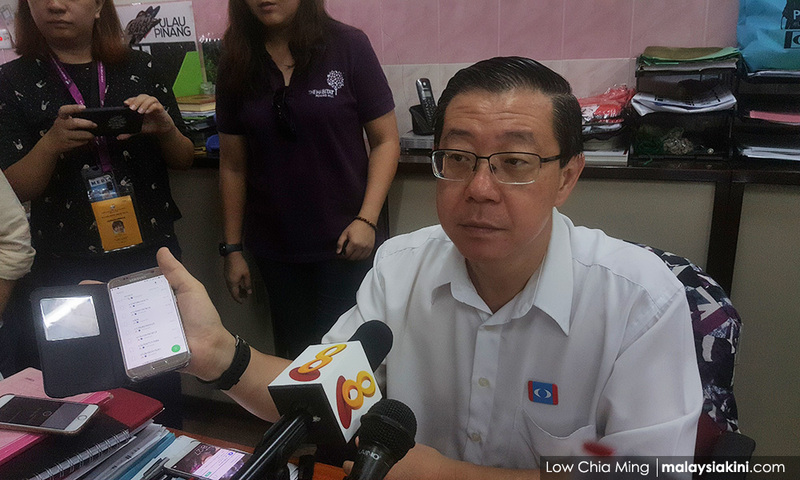 8am: Air Putih, Penang - Several staff working in DAP secretary-general Lim Guan Eng's service centre claims their phones keep receiving calls from unknown persons, which obstructs them from using their phones. According to one the staff Hong Kian Beng, 57, the calls have been coming in since 7.50am at one-minute intervals. "We dare not pick up the call to avoid hacking," he says. The candidate for Air Putih reaches his service centre 15 minutes later and also claims his phone has been hacked in the same way. "I sleep about 2.30am, and the phone was still in normal condition. But I found my phone had recorded countless missed calls when I woke up." He says his father Lim Kit Slang also encountered the same problem. 7.55am: Pengkalan Chepa, Kelantan - Harapan Chempaka candidate Nik Omar Nik Aziz arrives at the polling centre in SMK Raja Sakti, Kota Bharu. The second son of the late PAS spiritual leader Nik Aziz Nik Mat is dressed in a baju Melayu and black pants. 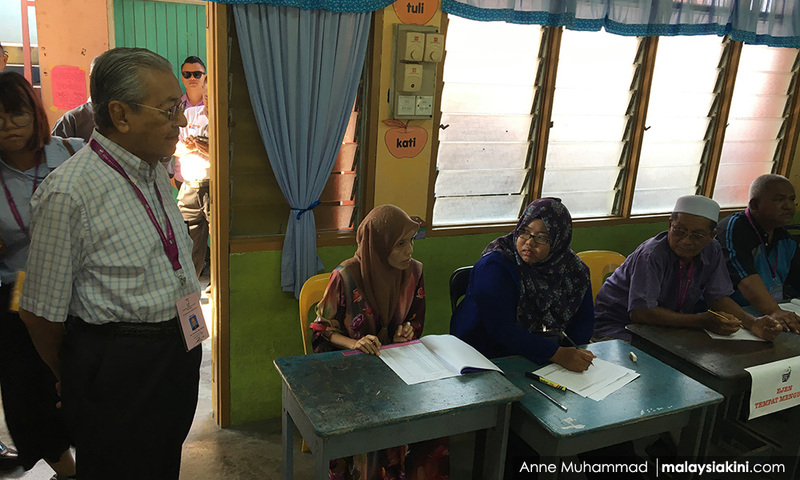 He queues up to cast his ballot for the Panchor state seat and Pengkalan Chepa parliamentary seat, and is the first here to cast his vote. 7.50am: Alor Setar, Kedah - Although polls have yet to open, about 40 people gather at SMK Tunku Abdul Rahman waiting for their chance to vote. 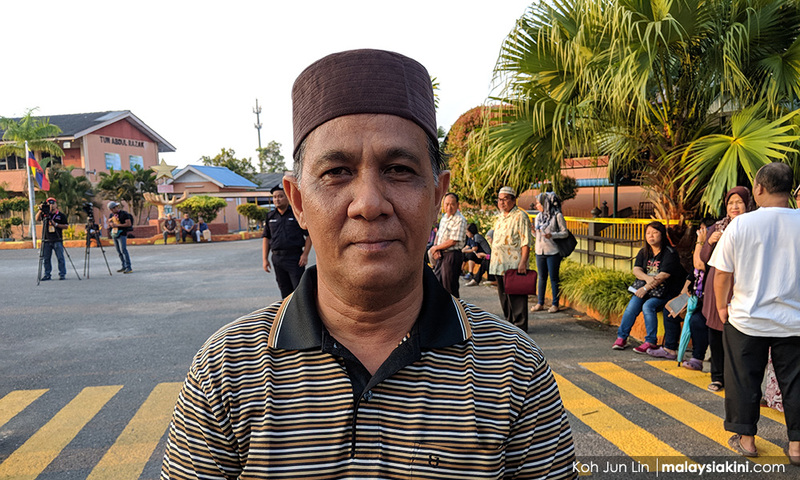 One of them, the army retiree Ramlan Hanafiah, 56, says he arrived early at 7.45am because he is in high spirits (bersemangat) to vote and wants to avoid congestion. "It will be congested if I come late, so I came early," he tells Malaysiakini. It is now clear skies with golden sunshine in Alor Setar, but rain is forecasted throughout Kedah later today. 7.45am: Lembah Pantai, Federal Territories – Several hundred show up early to wait for the polling booths to open. Many are from the older generation, and some are heard discussing how to ensure their votes remain secret, and spreading the word to neighbouring voters. 7.15am: Kuala Lumpur - Voters are beginning to queue up at their respective polling centres to cast their ballots, reports Bernama. The Election Commission expects 85 percent voter turnout to vote. 7.08am: Some 14,449,200 voters will cast their votes when polls open at 8am. They will choose from 687 candidates for 222 parliamentary seats and 1,646 candidates for 505 state seats. The first official results are expected to be announced as early as 9pm, but unofficial results will come earlier. For record, a total of 11,257,147 voters or 84.84 percent of the 13,268,002 registered voters cast their ballots in the last general election. The turnout rate in this general election is said to play an important role in the outcome of the polls.